in fact, was dated 1724. The memorial, the handwriting of which is easily readable, bears the sworn affidavit of one of the witnesses to the original 1724 deed. "The Widneys were descended from a Colonel Widney, an officer in the army of William the Prince of Orange of Holland. He accompanied the Prince to England in the year 1688, and in the following year was with the army under the Duke of Schomberg in the campaign against King James II. He was at the battle of the Boyne, July 11th, 1690, and subsequently received from the crown for his services a considerable estate in County Tyrone, which was handed down to his descendants." Descendants of the Linn and Widney families are far more fortunate than many in search of ancestral origins. It is rare to have someone so close to an immigrant ancestor who was interested and diligent enough to preserve for posterity the knowledge and recollections of their antecedents. For that, we owe a large debt of gratitude to Dr. Linn. At least two questions arise from the above account. First, did Dr. Linn's elders tell him specifically that Colonel Widney had come to Ireland from Holland [the Netherlands], or simply that he had fought for William of Orange at the Boyne, from which Dr. Linn then inferred the former? This question, unfortunately, cannot now be answered. We would be remiss, however, if we did not consider certain historical data of which Dr. Linn likely was unaware. Not least is the fact that the armies of William of Orange at the Boyne included not only his own Dutch Army but also regiments from Scotland, Ireland (including Ulster Scots), England, France, and Denmark. The second question presented by Dr. Linn's account is this: does there exist any documentation and confirmation of any of its parts? In order to discover the answer to this question, it is necessary to recognize other spellings of the family name. As cautioned elsewhere, a general lack of consistency in the spelling of surnames existed throughout the English-speaking world, even into the nineteenth century. Thus, as recognized by Widney descendants, the Widney surname is sometimes written Woodnay or Woodney. As will be seen, the interchangeability of Widney, Woodnay, and Woodney is borne out in Irish records. "The name has been spelled Widney and Uldney, and it derives its name from the barony and family of Udny of Udny, who have possessed the estate for several generations ..."
The earliest the family is found in extant records of Aberdeenshire is 1 October 1498, when William Udny was listed in grants of friars' lands of Kintore. "I've heard many versions o it - an tunes an aa, fen I wis young. Widney wis the pronunciation. Never naebody heard o Udny: 'It's Widney boy - are ye gaun doun tae Widney the nicht?'" http://www.springthyme.co.uk/1039/ - Find "8: Udny" on the page and see the comment by "Jock". Clearly, Widney is one of the variant forms of the Scottish name Udny. Is there anyone of the name Udny with connections to both Ireland and the Netherlands? As reported by Rev. 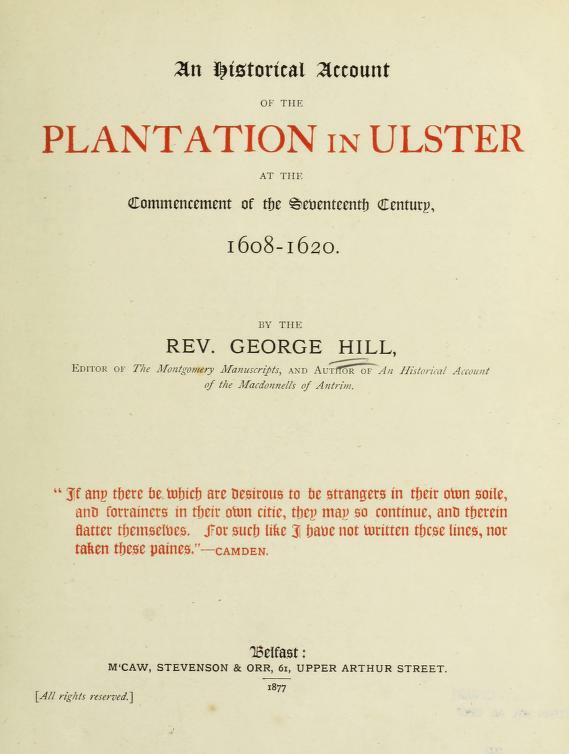 George Hill in his 1877 history of the plantation of Ulster (and outlined below), one man named Udney acquired property in Ireland in the early seventeenth century, but in County Cavan rather than Tyrone. As will be seen, this man also supported the Dutch, although a generation or two earlier than the Battle of the Boyne. These facts, of course, do not preclude the existence of a Colonel Widney fighting at the Boyne. An examination of all available records is necessary in any case. 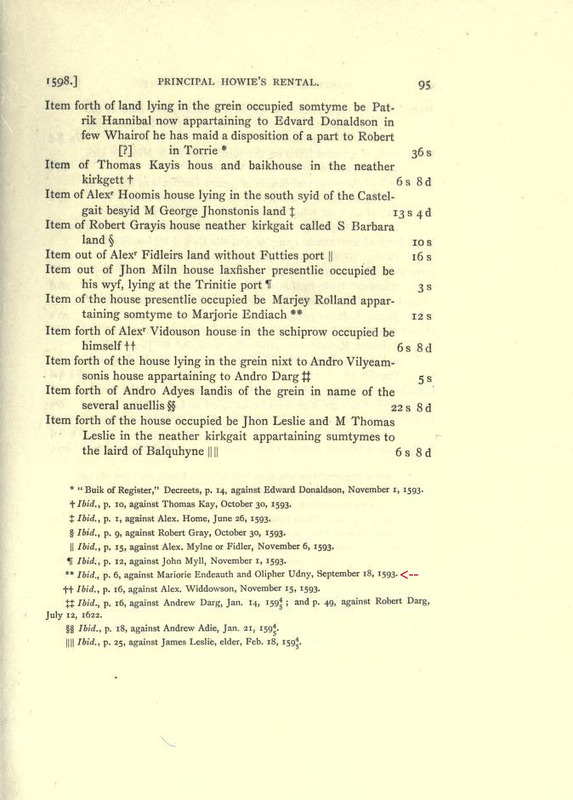 Here, then, is a chronology, with sources, of the family of Widney/Woodney/Udny. It begins with a man from Scotland who fought for Holland and ended up in Ireland. On 18 September, Olipher [Oliver] Udny was named in a complaint concerning a house in connection with Marischal College and University of Aberdeen, Scotland. 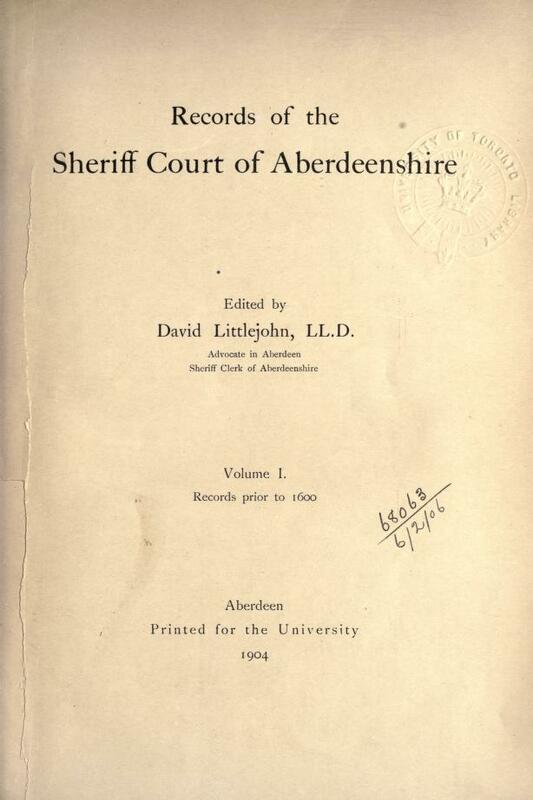 On 13 January, Oliver Udnie, Burgess of Aberdeen, Scotland, served on a jury of inquest, as recorded in the Sheriff Court Diet Books, Vol. 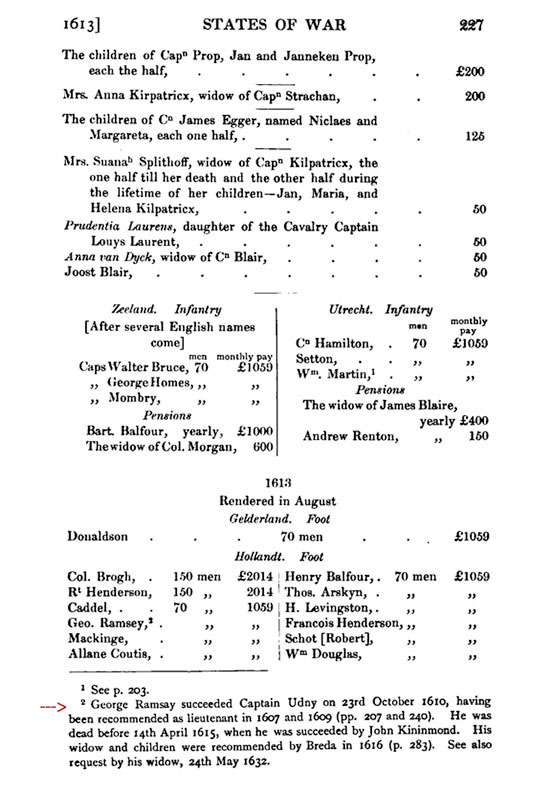 V.
In 1608, Oliver Wodney was paid £1,290 as captain of a company of 94 men. In 1609, Oliver Wodney was paid £1,059 as captain of a company of 70 men. 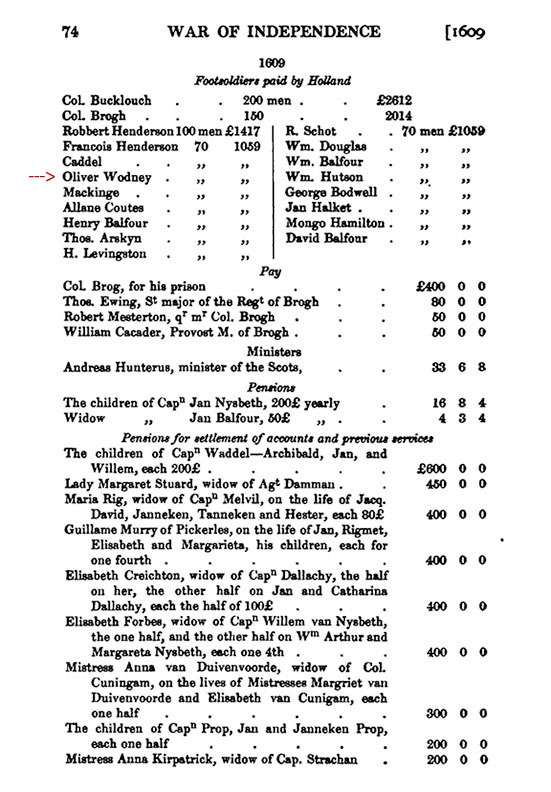 In 1610, Oliver Wodney again was paid £1,059 as captain of a company of 70 men. On 23 October 1610, Captain Udny was succeeded by an officer named Ramsay. The Brigade account regrettably does not include any reassignment, discharge, or other record of any kind for Oliver Udny/Wodney. 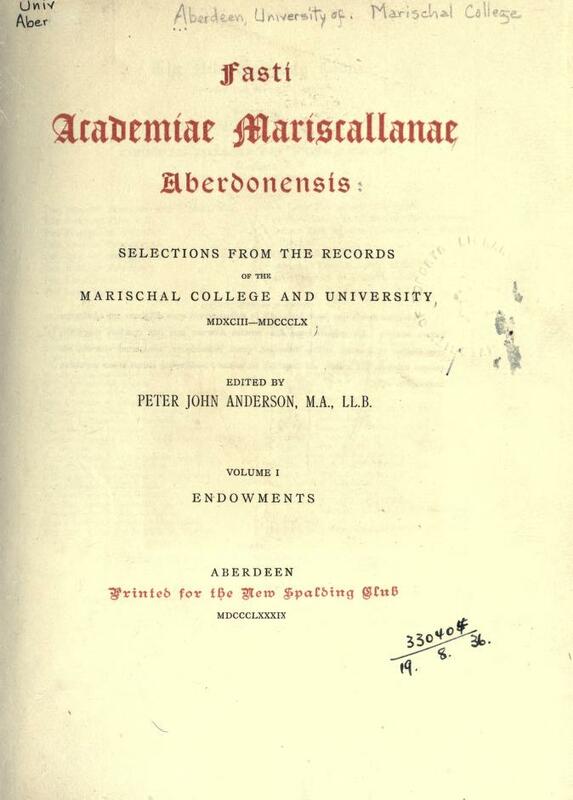 However, the editor of the 1899 history of the Scots Brigade in the service of Holland noted that Oliver was "[p]robably a member of the ancient family of Udny of Udny in Aberdeenshire". 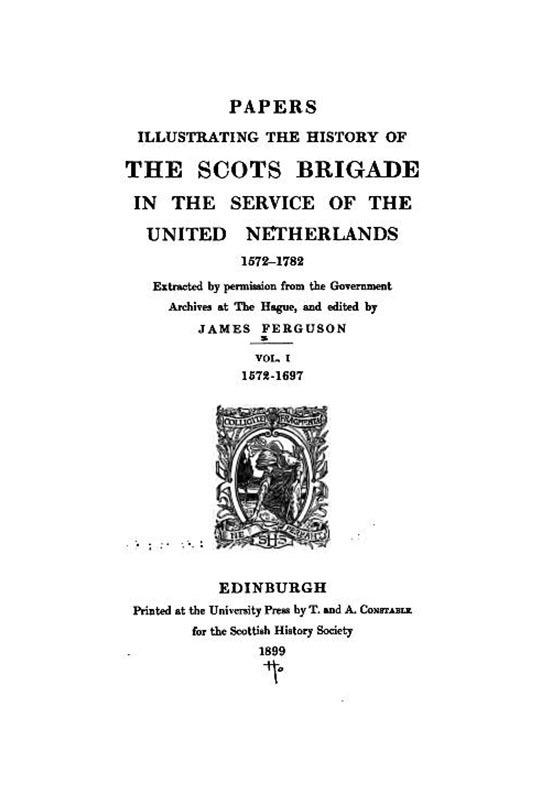 Papers Illustrating the History of the Scots Brigade in the Service of the United Netherlands 1572-1782, Vol. I 1572-1697, Ed. James Ferguson, Edinburgh (1899), pp. 72, 74, 227. On 1 April, Oliver Udny was leased part of the townland of Cran1 in the manor of Kilcloghan, barony of Clankee, County Cavan, Ireland. This was during the first plantation of Ulster, which included large numbers of Scots settlers, many of whom had served the Crown in the military. Kilcloghan had been granted to the Scotsman John Hamilton, Esq., whose lessees were described in Pynnar's 1619 survey of the plantation as "of Brittish birth and descent", a term that included Scottish, English, and Welsh. Cavan shares part of its northern border with County Monaghan, which Dr. Linn reported as the home of Mary Wilson, mother of James Widney and Sarah Widney. 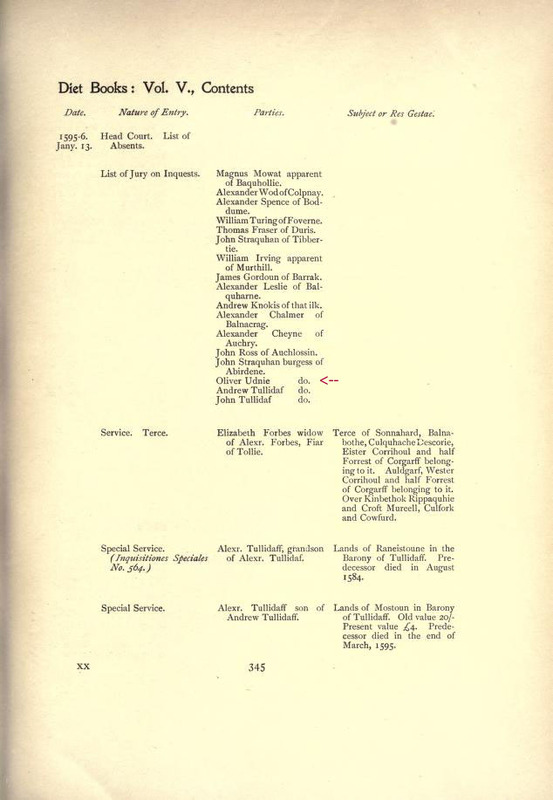 Oliver Owdny and Nicholas Owdny both were listed on this year's Muster Roll as living in the nearby barony of Tullyhunco, County Cavan, under Sir Francis Hamilton. Not coincidentally, perhaps, one Nicholas Widney died in 1731 possessed of a certain property in County Monaghan - see : 1731 below. Lieutenant Woodney [first name not recorded] was among Scots Presbyterian landholders of Lecale,8 County Down who were proposed to be transplanted to Leinster and Munster in order to promote Protestantism in the south of Ireland. There is no indication as to whether the move actually occurred. County Down is on the eastern border of County Armagh and not far removed from Monaghan. James Widney the elder and James Widney the younger, "Both of Kill[y]murry in the Parish of Erigle Barony of Truegh [Trough] and County of Monaghan", were parties to a deed dated 11 May 1724 which was contingent upon the marriage of the younger James to Ann Carlile, niece of Thomas Donaldson. 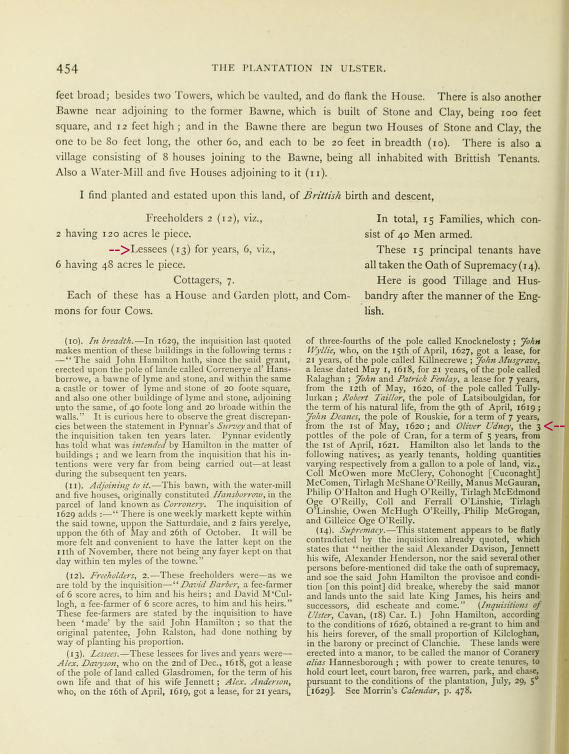 In consideration of the marriage: (1) James Widney the elder gave �unto his said Son James Widney the younger as a Patramony the one Half of the town lands of Killamurry�; and (2) Thomas Donaldson agreed to pay to James the younger �as a marriage Portione the sum of Fifty Pounds Ster[ling]�. Killymurry is a townland in Monaghan, very near Emyvale; see : 1779 and 1784 below. A will was recorded in Clogher Diocese for Nicholas Widney of Killymurry,4 County Monaghan. Regrettably, Clogher and nearly all Northern Ireland wills were destroyed, and all that remains are indices. See also : 1724 above and 1796 below. 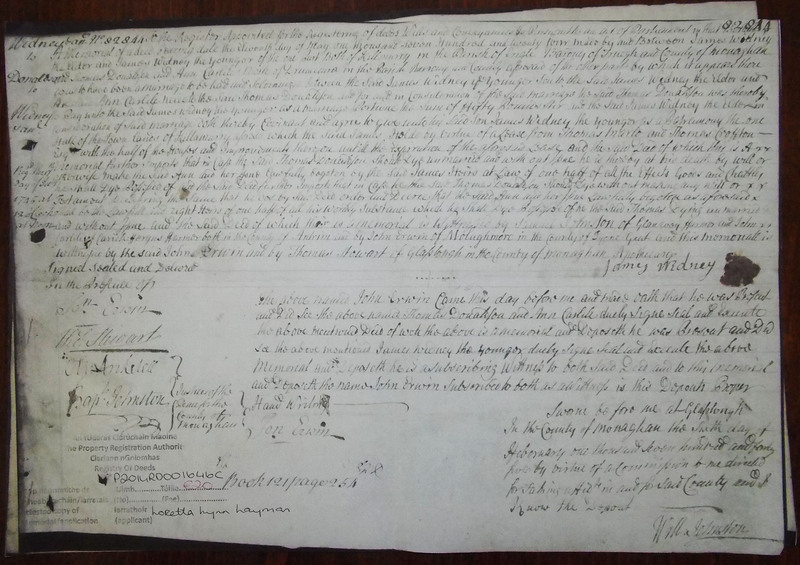 A will was recorded in Clogher Diocese for James Woodney of Killymurry, County Monaghan. "A Memorial of a deed bearing date the Eleventh day of May one thousand seven Hundred and twenty four" was attested to by John Erwin, one of the 1724 witnesses (image and transcript above). The deed being memorialized five years after the will of James "Woodney" of Killymury was recorded suggests that the 1740 James Woodney was one and the same as the 1724 James Widney the elder. In January, Margaret Widney was born "near Emyvale"3 in County Monaghan, as related in a memoir authored by her son Samuel Williams. Margaret was married to William Williams. Since Emyvale is less than two miles from Killymurry, Samuel�s account provides good supporting evidence for the Widneys actually living in the rural townland of Killymurry when Margaret was born. 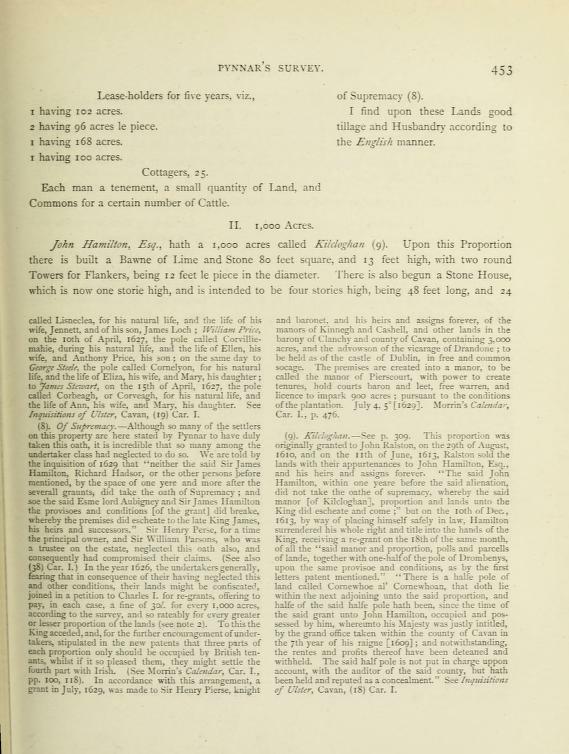 John Widney, son of James and Mary (Wilson) Widney, later wrote in his family Bible that he was born in "the County of Monahan in Ireland" on 9 February of this year. Margaret Widney "of Emyvale", married William Williams in Glaslough. James Widney of Killymurry sold his lease for lands of Killmurry, County Monaghan containing 39 acres, 3 rods, and 15 perches, to John Sparrow and William Armstrong. The price which James received was 119£ 8sh. 9p. ; and two of the witnesses to the "Indented deed of Assignment" John Wilson, gentleman, and Ann Wilson of Emyvale. This was the very year James Widney and his wife, Ann Erwin, left Ireland for the U.S. and four years before James's sister Sarah Widney followed, along with her husband, Hugh Linn, and three of their children. Alexander Widney was a flax grower in Errigal Trough,12 County Monaghan, appearing on the flax growers bounty list this year. Errigal Trough is a civil parish in the northeast corner of County Monaghan and includes the townlands of Errigal Trough and Killymurry; see also : 1713 and 1731 above. The Scottish name of Udny or Udney is pronounced and sometimes written as Widney. Oliver Udney fought in a Scots Brigade attached to the Dutch army and appears in his Brigade history as both Udney and Wodney; this was 69 years prior to the Boyne. He subsequently held land in County Cavan but not in County Tyrone. Woodney, a recognized form of the name Widney, appears in Ulster 37 years prior to the Battle of the Boyne, and as a member of the military. This man was a Scots Presbyterian and lived at least for a time in County Down. Twenty-one years following the Battle of the Boyne, a Woodney child recognized by Widney researchers as a member of this family was baptized. The Presbyterian Church baptizes infants and young children, but the Methodists do not. The Presbyterian Church in Ireland was founded in the 17th century by Scottish immigrants to Ireland* while Methodism, to which the Widneys later converted, did not arrive in Ireland until the mid-18th century**. The Widneys have not been found anywhere - other than in Dr. Linn's account - as having title to or possession of any property in County Tyrone. However, one James Widney did have a half-interest in Killymurry, County Monaghan, which he sold the very year our James Widney came to the U.S. While the names Oliver and Nicholas are uncommon to Ireland, (1) the name Oliver appears in County Cavan as Oliver Udny in 1621 and as Oliver Owdny in 1630, and (2) the name Nicholas appears in County Cavan as Nicholas Owdny in 1630 and in County Monaghan as Nicholas Widney in 1731. The 1731 Nicholas Widney and 1740 James Woodney both were designated as "of Killymurry" in their respective wills, the latter presumably being the same person as the 1724 James Widney the Elder of Killymurry, who had then deeded Killymurry to his son James Widney the younger of Killymurry. The 1724 deed was memorialized in February 1745, by affidavit of one of the 1724 witnesses, and very probably represents the legal establishment of James the younger's title following the death of his father. A later James Widney, born in 1753, sold Killymurry in 1784, the very year he emigrated to Pennsylvania. 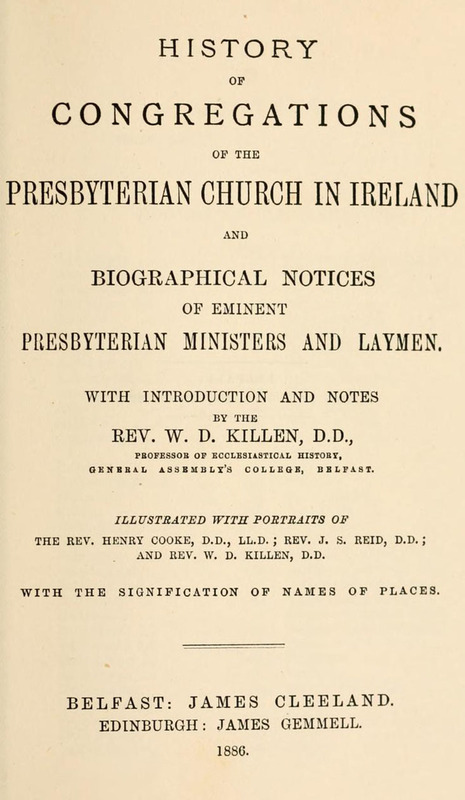 History of Congregations of the Presbyterian Church in Ireland, Ibid. It is clear from the foregoing record that the name Widney/Woodney began as Udny/Udney. Since the first occurrence of Udney in Irish records is in 1621 and the first Woodney in 1653, it is also certain that Widney ancestors were in Ireland long before the 1690 Battle of the Boyne. That fact does not entirely negate Dr. Linn's account. Rather, given especially the military history of the first Udney and first Woodney in Ireland, the Ulster family certainly may have produced a Colonel Widney who helped secure the victory for William of Orange in that historic conflict. 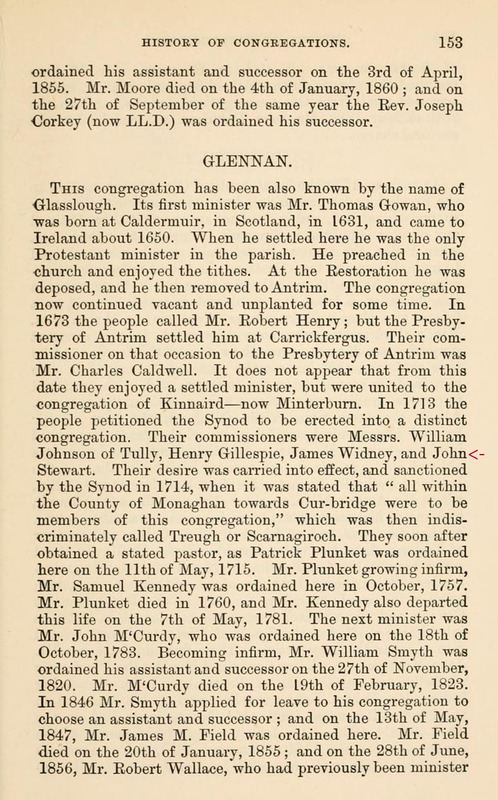 Clearly also, there were several Widney generations named James, the earliest being a 1713 County Monaghan Presbyterian elder. Following 1713, all the known records of a James Widney or Woodney in County Monaghan are: (1) James Widney the Elder of Killymurry in 1724, deceased in 1740; (2) James Widney the Younger of Killymurry in 1724, the father in the 1744 lease; (3) James the son in the 1744 lease; and (4) James the 1784 seller of Killymurry (born 1753 by Dr. Linn's account). One question remains: did the family in fact own an estate in County Tyrone? The records discovered to date do not prove it. William Woodnay, son of Jamie Woodnay, was baptized in Upper Massereene,10 Glenavy Parish, County Antrim. Glenavy is just inside County Antrim at the border with County Down. Hugh Woodney in Newry Parish, County Armagh applied to register a freehold in the townland of Lisdrumliska.7 Newry Parish is divided between Armagh and Down. See : 1778 below. Alexander Woodney of Newry Parish married Elizabeth Carlile, who was born in 1704. James Wadney was a Protestant householder in Macosquin11, Barony of Coleraine, County Londonderry. A will was recorded in Derry Diocese for John Widney, yeoman, of Macosquin, County Derry/Londonderry, barony of Coleraine. Alexander Widney reportedly married Mary Reed in County Armagh. Hugh Woodney of Newry Parish, Counties Armagh and Down, signed a Protestant Dissenters Petition. On 30 October, Hugh Woodney of Newry Parish leased lands of Ballynacraig9 in County Down from Ross Moore of Carlingford, County Louth. Cran, leased by Oliver Udny in 1621, is a townland in County Cavan which contains 218 acres near the border with County Monaghan. Cavan and Monaghan both are part of the historic province of Ulster. Cran itself is only 15 miles southwest of Newry, County Down and 38 miles southwest of Killymurry, County Monaghan. Widneys/ Woodneys are later found in both Newry and Killymurry. Glaslough is a village in the civil parish of Errigal Trough, County Monaghan, which was both (1) an alternate name for the Presbyterian church founded there upon application of James Widney and others in 1713 and (2) the home of the man who married Margaret Widney of Emyvale in 1779. Emyvale, the home of Margaret Widney in 1779, is a town lying three and one-half miles northwest of Glaslough and less than two miles south-southwest of Killymurry. Killymurry is a townland in the civil parish of Errigal Trough containing 133 acres and lying two miles north-northeast of Emyvale and four miles north-northwest of Glaslough. Nicholas Widney died there about 1731 and James Widney I about 1740. Killymurry is roughly a mile south of the southern border of County Tyrone. Mulladermot is a townland of 119 acres, which lies a half mile north-northwest of Killymurry. James Widney leased 70 acres of Mulladermot in 1761. Blackwatertown is a townland in County Armagh lying 14 miles northeast of Killymurry. John Widney leased land there in 1758. Lisdrumliska is a townland in County Armagh lying 32 miles southeast of Glaslough and very near the border with County Down. It was the location of a freehold registered by Hugh Woodney in 1726. Lecale is a barony in County Down, roughly 30 miles east-southeast of Glaslough. It was the home of Lieutenant Woodney in 1653. Ballynacraig is a townland in County Down, now absorbed by the present-day town of Newry and lying a few miles from Lisdrumliska. In 1778, lands there were leased by Hugh Woodney of Newry Parish. Upper Massereene, where William Woodnay, son of Jamie Woodnay, was baptized in 1711, is a barony in County Antrim lying roughly fifty-eight miles northeast of Glaslough. Macosquin, where James Wadney was a Protestant householder in 1740 and John Widney, yeoman, died about 1741, is a village and townland in County Derry [Londonderry] lying sixty-two miles north of Glaslough. Errigal Trough is a townland and civil parish in the far north corner of County Monaghan. It includes the townland of Killymurry, where Alexander Widney was a flax grower in 1796. Since taking her first steps on the Widney genealogical journey thirty years ago, this author has often wondered why there was no historic record documenting the troops, or at least the officers, who fought for William of Orange at the Battle of the Boyne. Surely the victorious, new King had an account of this most historic, decisive engagement of his campaign. Sometimes, however, she despaired - thinking such record likely was destroyed in one of the many burnings in the centuries-long Irish conflict. Then, news of a discovery in Ireland gave hope. Amazingly, a 320-year-old account book had been sitting forgotten among other artifacts in the Belfast City Hall for at least a century and was finally found during renovations to the building. The paymaster's account book for the Battle of the Boyne was presented to the Orange Order, which in November 2012 finished digitally photographing the entire book and was "assessing the best means of presentation" with "the intention to add to [it] the alphabetical database of surnames ..." In March 2013, it was announced that the Orange Order's Archives would be temporarily closed to prepare for the building of an interpretive center and the creation of a new website. As soon as word is received as to the availability of the images and data, a notice will be added here. 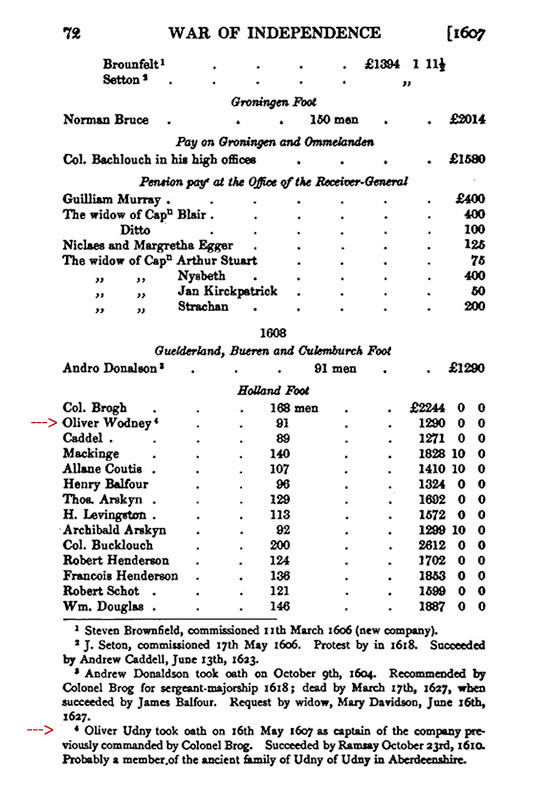 Linn and Widney descendants are eager to know if Colonel Widney - by whatever spelling - appears among those men named in the Paymaster General's Account Book for the Battle of the Boyne. As with Widney/Woodney/Udney, the spellings Linn and Lynn are interchangeable, along with certain other variant spellings. Lynn/Lynne was the earliest spelling in Ulster for Scots of the name, and descendants of Sarah Widney and Hugh Linn may be interested in a discussion of the first Ulster Scottish Lynns at "Lynns of Londonderry, Donegal, and Tyrone". [For extensive collections of the history of Lynns, Linns, Linds, etc.